How much more can people take? COLUMBIA, Mo 1/21/16 (Beat Byte) -- Seven times in seven years. That's how often Columbia Public Schools has raised property taxes since a big levy defeat in 2008. This April, CPS wants an 8th tax hike -- maybe the largest ever -- 20% higher than the hike voters rejected in 2008, prompting the resignation of then-Superintendent Phyllis Chase. "Your property taxes for schools likely will increase this year." That was Columbia Daily Tribune reporter Jonathon Braden. If you don't remember him, no wonder. He left the paper years ago, and made that ominous prediction way back in 2009. School board OKs tax hike was the 2009 headline. District's tax levy UP: School board says boost is justified was the 2010 headline. Some 2011 headlines included: School board increases tax levy rate. School discussion focuses on tax increase. School Board supports tax increase plan. What a surprise, that last headline, eh? It was about what was coming in 2012: not one, but TWO tax increases. In April 2012, Columbia Public Schools put a sizable tax hike before voters -- and $50 million in new bond debt. "Property owners will see more of their money going to Columbia Public Schools," the Columbia Daily Tribune reported in August 2012, when Board members approved another boost! "The Columbia Board of Education voted to again raise the amount property owners will pay to the district," the Tribune reported in 2013. In 2014, the School Board approved still another tax hike. So, let's add 'em up: one tax hike in 2009, 2010, 2011, 2013, 2014, and two hikes in 2012. 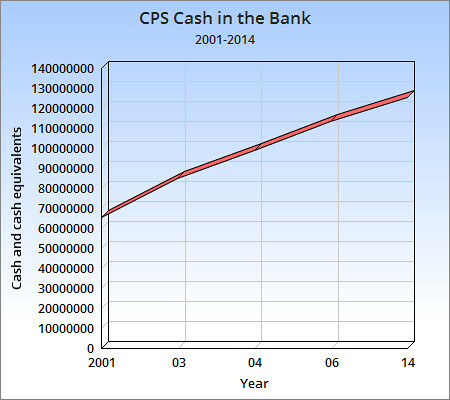 That's seven CPS tax increases in seven years. The big kahuna this April makes eight. And why? What's driving this relentless push for higher taxes? Isn't all this growth supposed to pay for itself? Maybe it is and we aren't being told. Every year, the CPS School Board joins the Superintendent insisting the district needs more money. But if that's true, how has the district manage to save an extra $60 million since 2001? Have you doubled your savings in 14 years? You are here: Home CPS RELENTLESS: Columbia Public Schools seeks 8th tax hike in eight years!